Best NJ Jetting Sewer & Drain Service + Price! We provide Sewer Jetting Services in NJ. 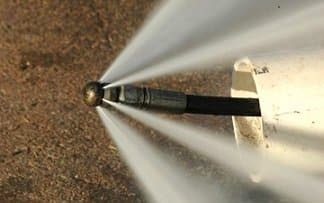 Sewer Jetting is high pressure water cleaning service, also called jetting or hydro-jetting services for sewer and drain pipe lines is a service we provide in NJ. There are certain sewer and drain pipeline problems that we cannot clear with a snake or other machines as the internal pipeline is covered with oil, grease, fat or mud stuck to the inside walls of the sewer pipe. Going back and forth with a snake or any machine will just spread the mess around in the pipe and along the sewer pipeline and the best solution for this kind of condition and in general for continuous draining and sewer is to use high pressure steam water to break down the oil and dirt clear the pipe. Unlike snaking a pipe with a cable going through the pipeline while rotating and pushing forward sewage and debris that prevented the water from flowing, Sewer jetting cleaning nj is more like drilling through the debris but with a high pressure, high temperature steaming water and with a large amount of water that is jetting every second. It might be 400 PSI water pressure and 15 gallons per second depending on the type of jet, but there is nothing in the sewer pipe, unless someone cast it with concrete, that can stand against this type of pressure and temperature. Using our jetting service in NJ you will have a clean pipe and clear walls in the pipeline like they were brand new. Using machines like a snake to go with mechanical parts and metal through a pipeline is considered a risk because the cable, the head and the drum are not sensitive and in some cases can even cause damage, such as in the case tree roots are in the pipe and the metal piece is pulling the roots inside cracking the sewer pipe even more, or in some other cases the cable can be ripped and break into the sewer pipe so then you have another problem of removing the cable from the pipe. Jetting a sewer or drain pipeline is much safer as its going with the flow as the pipe is cleared, nothing goes by force and if something is stuck we just wait for it to fall apart into small pieces and the jet heat can continue to move forward through the pipe. By the end of the hydrojetting process the line will be in the same condition as a new pipe , so assuming you don’t have any sewer or drain pipe that needs to actually be repaired, your sewer and drain line will be restored clean like a brand new sewer pipeline. 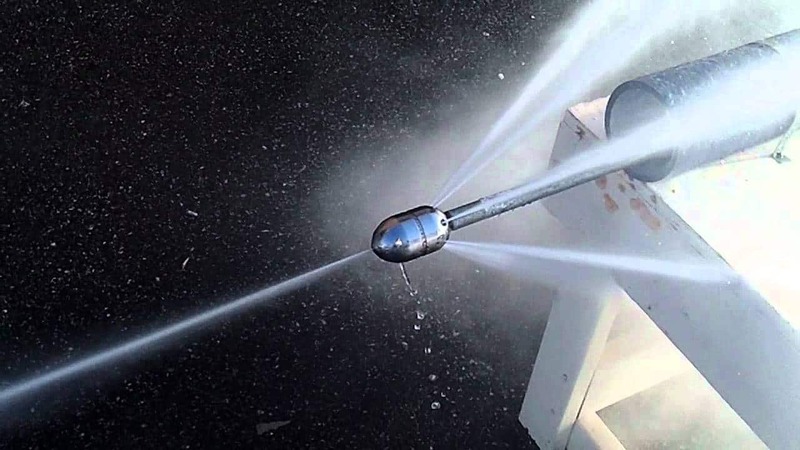 Best hydro Jetting Cost in NJ – We provide very competitive prices for sewer jetting / hydro jetting service, get your best price today. Call us now: 201-645-888 to get your best price!